Larry Harris, CEO of Willow Brook Christian Communities and former president of the SourcePoint Board of Directors, will be the honoree at SourcePoint’s 25th anniversary celebration on Oct. 25. SourcePoint is celebrating 25 years of service to Delaware County older adults. On Oct. 25, it will be hosting its 25th anniversary celebration in honor of this milestone. 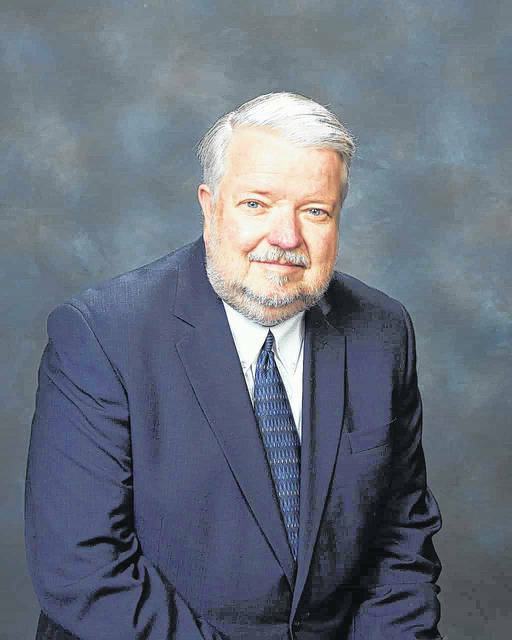 SourcePoint will pay tribute to one of its longtime supporters, Larry Harris, CEO of Willow Brook Christian Communities and the former president of the SourcePoint Board of Directors, for his contributions to senior services in Delaware County and beyond, according to Founding Executive Director Robert Horrocks. In addition to his roles at Willow Brook and SourcePoint, Harris has served terms as elected chair/president of LeadingAge Ohio, LeadingAge Ohio Foundation, and Christian Senior Services Association in Abilene, Texas. He has been a guest lecturer for various organizations and schools, including 32 years with The Ohio State University Core of Knowledge program. The festivities start at 6:30 p.m., and take place at SourcePoint, 800 Cheshire Road. Music is being provided by Summertime and Museaic. The dinner will be catered by Bosc & Brie. The event emcee will be Jeff Robinson. Sponsors for the 25th Anniversary Celebration include: First Commonwealth Bank; Interim Healthcare; Manos, Martin & Pergram Co., LPA; OhioHealth; Arbors of Delaware; Ruscilli Construction; Robinson Funeral Home; and Blue Skies HD Video and Film Productions. All net proceeds of the fundraiser will support the Save Senior Services 2018 Campaign. The Delaware County Senior Services Levy supports critical programs that help older adults to live safely and independently in their homes, including as Meals on Wheels, county-wide dining centers, homemaker services, emergency response systems, in-home care coordination, and caregiver support. SourcePoint’s current five-year levy was approved by Delaware County voters in 2013 for 2014 through 2018. Tickets are on sale for $50 each and can be purchased through Oct. 16 at www.MySourcePoint.org/25years or by calling 740-363-6677. Founded in 1992 as the Council for Older Adults, SourcePoint is a nonprofit 501(c)(3) organization that provides professional expertise, services, and programs for Delaware County adults who want to thrive after 55. Services and programs are supported in part by the local senior services levy, corporate and private donations, sponsorships, grants, and by the Central Ohio Area Agency on Aging. SourcePoint is a United Way agency.